As Global Aviation Strategy & Public Policy Director for UPS, Houston is responsible for aggregating all aviation strategy issues under one umbrella. He also advocates for federal aviation policy and collaborates with domestic and international industry groups to harmonize aviation safety standards and sustainability rules. 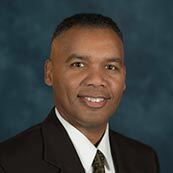 Previously, he served as UPS’s director of airline safety and compliance. Under his leadership, UPS became one of the first U.S. airlines to have a certified Safety Management System (SMS). He also served as the UPS International Chief Pilot. Houston began his aviation career in 1985 as a Marine Corps officer and F/A-18 fighter pilot, serving in Operations Desert Shield, Desert Storm, Restore Hope and Southern Watch. In step with UPS’s commitment to the community, Houston serves on the national Board of Directors of the Marine Toys for Tots Foundation. 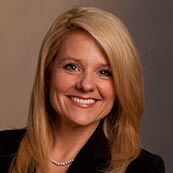 As President and COO of SpaceX, Gwynne Shotwell is responsible for day-to-day operations and for managing all customer and strategic relations. She joined SpaceX in 2002 as Vice President of Business Development and built the Falcon vehicle family manifest to more than 70 launches, representing more than $10 billion in business. 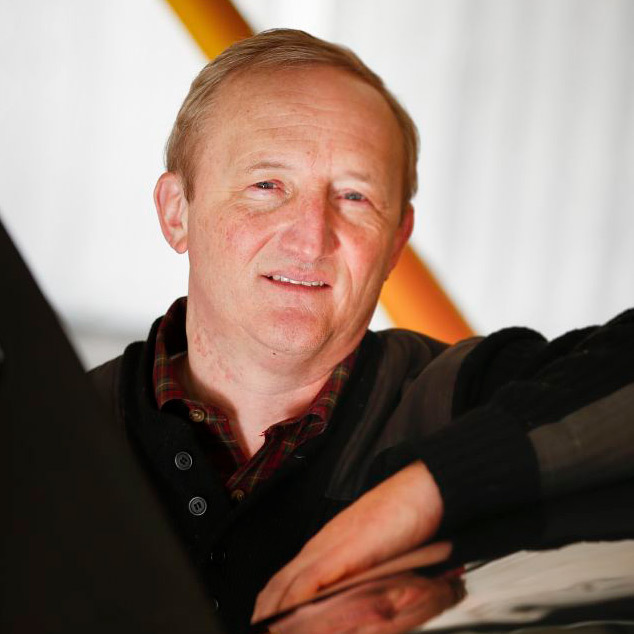 Gwynne is a member of the SpaceX Board of Directors. Prior to joining SpaceX, Gywnne spent more than 10 years at the Aerospace Corporation, holding positions in Space Systems Engineering & Technology and Project Management. She was subsequently recruited to be Director of Microcosm’s Space Systems Division, managing space system technologies, serving on the executive committee and directing corporate business development. 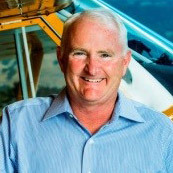 Mark R. Baker is a longtime general aviation (GA) pilot and only the fifth president in the 78-year history of the Aircraft Owners and Pilots Association (AOPA), the world’s largest civil aviation organization. A native Minnesotan, Mark earned his pilot certificate in his twenties and has logged more than 7,500 hours of flight time in aircraft ranging from light seaplanes to turbines and helicopters. He has welcomed numerous friends and family members, including his father, son, and two sons-in-law, into the pilot community. A graduate of the University of Minnesota, Mark has also served on numerous corporate boards and has taken leadership roles with several nonprofit organizations. James Brough was an educator for 21 years and joined the FAA in 2008 as the FAA’s National Aviation and Space Education Program Manager. Jim provides national leadership to prepare students to enter the aerospace industry workforce. He is also a private pilot and aircraft owner, which brings a unique perspective to his position as the National STEM AVSED Program Manager. He has received numerous awards for his aerospace education initiatives including, the Christa McAuliffe Sabbatical Award and an Excellence in Education Award by the state of New Hampshire. In 2001, Jim was inducted was into the New Hampshire Teacher’s Hall of Fame. In 2016, Natalie Campana, along with Steubenville City Schools, initiated and developed the Aerospace Engineering and Aviation curriculum for Steubenville High School’s Career & Technical Education Department. In 2017, the Harding Middle School Aviation program was launched as a pathway to the high school. Currently, she is working towards completing her FAA Commercial and Certified Flight Instructor ratings. Natalie is a proud mom to preschooler Mason, who enjoys being the co-pilot. Eric Crump loves all things aviation. He started flight training at 13 and soloed on his 16th birthday. 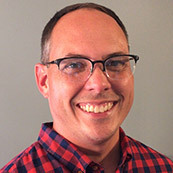 After completing his undergraduate degree at Middle Tennessee State University, Eric worked in the university’s training department as a check instructor and chief ground instructor before beginning a career in corporate aviation in Atlanta, Georgia. He later became the Aviation Content Manager and Chief Instructor for Gleim Publications in Gainesville, Florida. Six years ago, Eric joined Polk State College in Lakeland, Florida, to head its new aerospace program and currently serves as the Aerospace Program Director. Todd Curtis has spent the last six years as an instructor for the McKinney ISD High School Aviation program located in McKinney, Texas. When Todd started, there was only one course offering available with an enrollment of 32 students. 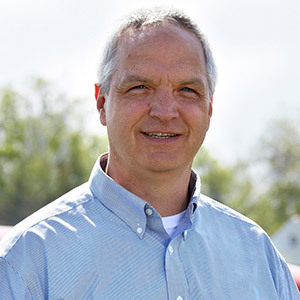 Todd has worked with individuals from municipalities, private industry, and universities to build connections to bring the best opportunities to the students of McKinney. Today the program has grown significantly through Todd’s leadership and includes four course offerings and has an enrollment of over 220 students. Chief Executive Officer, Iridium Communications, Inc. 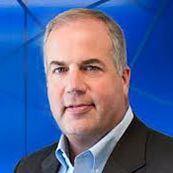 The CEO of Iridium Communications, Inc., Matt Desch has more than 35 years of experience in the telecom industry and was an early pioneer in the global wireless industry. Iridium is the world’s largest commercial low earth orbiting satellite operator, providing mobile communications to the maritime, aviation, defense, emergency response and IoT industries. Before joining Iridium, Matt was the CEO of Telcordia Technologies, Inc. 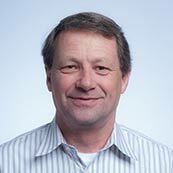 Previously he served as President of Nortel Network. Matt is a member of the US President’s National Security Telecommunications Advisory Committee (NSTAC). 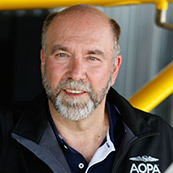 An active pilot, he is member of the Board of Trustees of AOPA. Matt has a B.S. degree in Computer Science from The Ohio State University and an MBA from University of Chicago. Ray Ellis started his aviation career in the early 1980s at Gatwick Airport in London UK. He worked for a handling company until joining Delta Airlines in January 1987. His airline experience covers a multitude of disciplines including customer service, operations, reservations, aircraft fueling, aircraft weight and balance and dispatch. Ray moved to the USA in 1995 and has served in multiple training roles before moving to Delta Flight Control in February 2001, serving as an Aircraft Dispatcher before moving into his current role as Training Supervisor in September 2012. Luke Gilly is a graduate of Emory & Henry College in southwestern Virginia and Lincoln Memorial University in Eastern Tennessee. At E&H, he earned a bachelor’s degree in History (Social Studies) and Mathematics and later added a master’s degree at LMU in Administration. Luke has taught in large combined schools, small county schools, and small independent schools in both Virginia and Kentucky. After teaching high school mathematics for 10 years, he transitioned to teaching engineering and aerospace/aviation full time for the past five years. 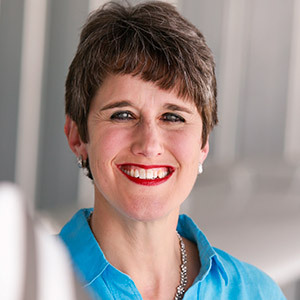 Cindy Hasselbring serves as the Senior Director for Aircraft Owners and Pilots Association’s High School Aviation Initiative. 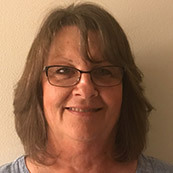 Cindy was a National Board Certified high school mathematics teacher in Michigan for 16 years and earned the Presidential Award for Excellence in Mathematics and Science Teaching. She served as an Albert Einstein Distinguished Educator Fellow at the National Science Foundation in Washington, DC where she was a teacher representative on the White House Office of Science and Technology Policy STEM education committee. Cindy also worked at the Maryland State Department of Education, where she served as Special Assistant to the State Superintendent and led STEM initiatives for the state. Cindy is a private pilot. Dawn Johnson was hired by the Federal Aviation Administration through the Collegiate Training Initiative in 2005, when she began her career as an air traffic controller at Atlanta Center. She is currently the NATCA Eastern Service Area Air Traffic Safety Action Program (ATSAP) analyst, a position she has held since 2014. Dawn is also the Chair of the National Reloaded Committee. Paula Kedy is a career educator who is currently serving as the Executive Director of Academics and Instruction for the Ada City School in Ada, OK. Paula is currently working in collaboration with the City of Ada, the Ada Regional Airport, and members of EAA Chapter 1005 to develop and implement an aviation program for the Ada City School District. In addition to the aviation awareness program that was launched in 2016-2017, the school district plans to field test the new AOPA High School Curriculum and will offer Introduction to Aviation as an elective course. 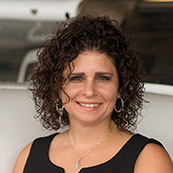 Paula is also a member of the AOPA High School Aviation Steering Committee. 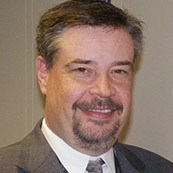 Steve Kelley has taught history at Southeastern Regional Vocational Technical High School in Easton, Massachusetts, since 2002. He is also a field test teacher for the AOPA Aviation STEM curriculum. Steve earned his private pilot certificate at age 17. While attending the University of New Hampshire, he participated in Air Force ROTC and then served as an intelligence officer in Japan. Following active duty, he graduated from Northeastern University School of Law. Life’s commitments drew him away from flying, but a gift certificate from his daughters for a flying lesson brought him back to the left seat. Steve currently flies a 1946 Aeronca Champ and a Cessna 172N. He also holds a remote pilot certificate. 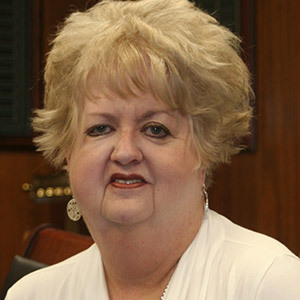 Susan Broderick Mallett is a retired teacher, principal, and university instructor with an educational tenure of 31 years in Alabama schools. As a public school principal, she led a nationally and internationally-recognized elementary school that integrated the aerospace theme throughout the curriculum. 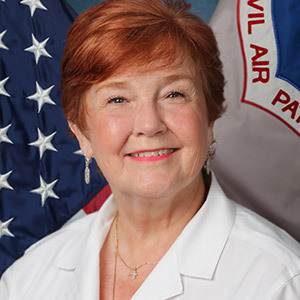 Since 2006, she has served as the Youth Development and Air Force Association (AFA) Programs Coordinator at the National HQ of the Civil Air Patrol at Maxwell Air Force Base, Alabama. 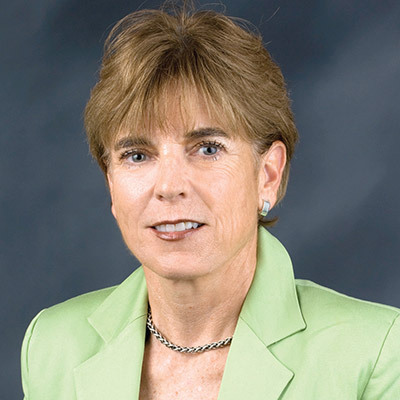 Susan serves as the Vice President/Aerospace Education for the Air Force Association at the chapter, state, and region levels, and is a member of the national AFA’s Aerospace Education Council. 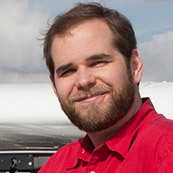 Nathan McAfee is a high school Aviation and Advanced Robotics instructor for McKinney ISD. He is a certified commercial drone pilot, 3D printing enthusiast, and is continually working to find new ways to spark a love of aviation in his students. Nathan has a passion for advancing opportunities to bring females into aviation. He is a part of the McKinney ISD Aviation Academy which has over 220 students. Troy McCullum began his aviation career by serving in the United States Air Force from June 1993 until June 1997. 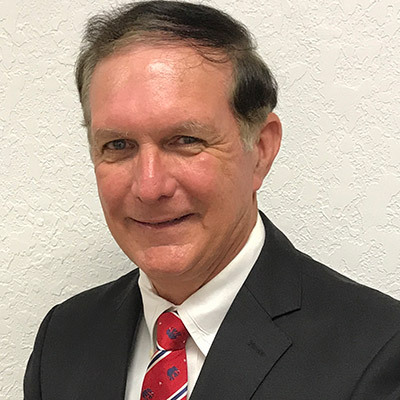 He possesses an Airframe and Powerplant license, an MBA from Indiana Wesleyan University, and a BS from Embry-Riddle Aeronautical University. 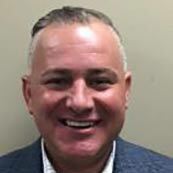 In his twenty-one years with UPS, he has held various management positions in both the Air District and Aircraft Maintenance & Engineering District. 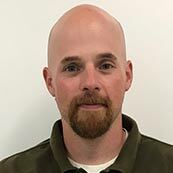 Troy currently serves as an Aircraft Maintenance Manager, overseeing the maintenance of UPS’s fleet of over 240 aircraft, ensuring compliance with UPS and Federal Aviation Administration regulatory requirements. Educator Nancy McGee has lived a life of adventure and diversity. In a career spanning 32 years, she has served as classroom teacher, coach, campus and district-level administrator. Nancy is currently the Director of Science Technology Engineering and Math (STEM) K-12 in the Grand Prairie Independent School District. In her spare time, Nancy is an explorer and filmmaker. The Explorers Club recognized her with a Fellowship for contributions to scientific knowledge in the field of geographical exploration. Her credits include NBC, Universal Studios, and Discovery. Nancy is the first female to pilot the Exosuit and was inducted into the Women Divers Hall of Fame. Dan Mills has been the aviation teacher at the Elizabethton High School in Elizabethton, Tennessee for the past nine years. He has logged over 21,000 flight hours, obtained four type ratings, holds an A & P mechanic license, and CFI-A, CFI-I, CFI-AMEL, and ASES ratings. Dan flew for Mission Aviation Fellowship in Indonesia and Lesotho Flying Doctors Service in Africa. He flew an MU-2 to take volunteer medical teams from Alaska to Far East Russia for a year with Samaritan Air. He also had the privilege of flying a Sabre 65 around the world with Samaritan’s Purse and flew a trip into North Korea. 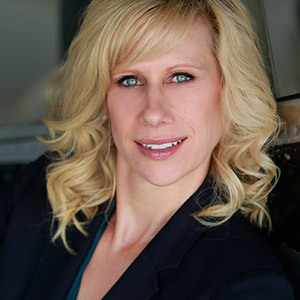 Renee Olsen is an experienced Work-based Learning Coordinator and Educator at Raisbeck Aviation High School in Tukwila, Washington who brings a wide range of aviation industry experience to her position. RAHS has a strong mentor and internship program and is proud to match over 100 students each year with mentors during their high school experience. Renee knows firsthand how a mentor can change a student’s life and help them achieve their dreams. Along with valuable internships a student can attain, Renee leads the RAHS career center as the hallmark of Raisbeck’s school success. George Pavey is the Dean of Aviation at West Michigan Aviation Academy, in Grand Rapids, Michigan. George completed naval aviation flight training before his first tour with VMFA-251, flying the F/A-18 Hornet during which he completed two overseas carrier deployments. Between deployments, he graduated from TOPGUN. George was selected as an Air Force F-16 Exchange Pilot and assigned to the 308th FS. Returning to the F/A-18 Hornet, George was assigned to VMFA-212 in Iwakuni, Japan. He was selected to participate in the Marine Corps Advance Degree Program and completed a Master’s Degree in Education prior to an assignment with Marine Corps University. 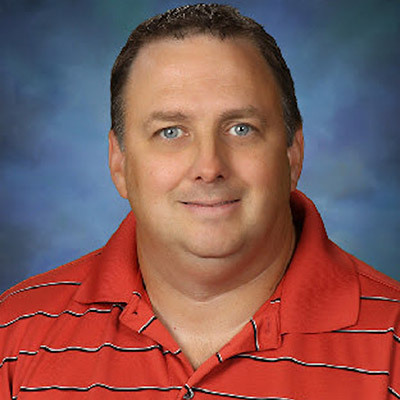 David Purser is a secondary science teacher for the Karnes City Independent School District. 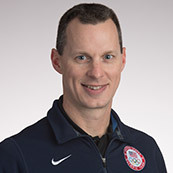 His role includes Honors Physics, Conceptual Physics, and Aviation Science. He has been a Texas certified composite science teacher for over 10 years. In addition to teaching, David is currently a student pilot. He and his wife also own a private chemical company. Prior to teaching, David worked 16 years in Scientific Services for the HEB Grocery Company. David holds a B.S. and an M.S. degree from Texas A&M University, College Station, Texas. John Rousch is a 48-year education professional with a focus on high school students and young adults. 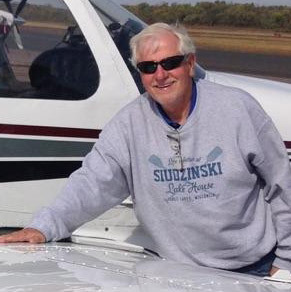 He is a pilot, an AOPA member, president of EAA Chapter 1240 and an instructor at Lake Placid High School. He developed a high school Aerospace Technology curriculum that helped establish the EAA Chapter 1240 Community Aviation Development Center conducting a wide range of youth aviation programs, one of which is building an AirCam with astronaut Story Musgrave. John feels that the future of aviation and aerospace depends upon engaging youth in aviation and aerospace, and the best way is to involve schools and develop community partnerships. Lt. Col. Kenyatta "Deacon" Ruffin is the Division Chief for Outreach and Engagement for the US Air Force Aircrew Crisis Task Force. He is responsible for establishing relationships and networks within the broader national pilot ecosystem to that are beneficial for both the military and civilian aerospace industries. A combat experienced pilot in both the F-16 Fighting Falcon and MC-12 Liberty, Lt. Col. Ruffin began flying at 13. He was one of the youngest certified flight instructors in America at 18, and created both high school and college flight programs. Most recently, he founded an award-winning non-profit youth aviation organization and was the director of the Air Force's inaugural Aviation-Character-Education (A.C.E.) Flight Program. 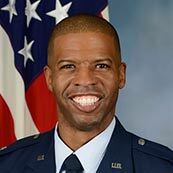 Lt. Col. Ruffin is an active general aviation pilot holding FAA ATP, MEI, and CFI-A/G/I ratings with 2,500 hours in military and civilian aircraft. 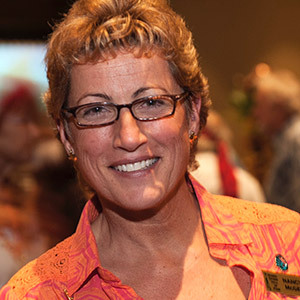 Lee Siudzinski serves as Executive Director of the Blue Sky Educational Foundation in Dallas, Texas. Before joining Blue Sky, Lee served as Vice President of Education with the Experimental Aircraft Association (EAA) in Oshkosh, Wisconsin. 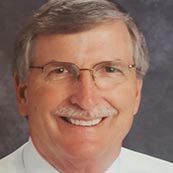 He has also served 21 years as a public school superintendent in two school districts in Wisconsin and currently serves on the AOPA High School Advisory Board. The focus of Blue Sky is to use the excitement of aviation to engage students in STEM. The flagship program is the Aeronautical STEM curriculum and kit which Blue Sky has successfully implemented in all 5th grades in the Grand Prairie Independent School District. Dr. Diane E. Thornton is national director of the Boy Scouts of America Learning for Life program. In this position, she oversees the in-school Learning for Life program which provides character education curriculum to schools nationwide. She also leads the Exploring program, including Aviation Exploring, which provides exciting activities and one-on-one mentoring for girls and boys through age 20. Dr. Thornton brings to her role years of experience as both a classroom teacher and university professor as well as various positions in academic management and curriculum development. She earned her doctorate in educational leadership from the University of Sarasota. 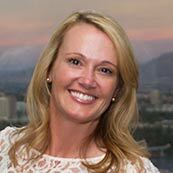 Seattle native Therese Tipton brings over 18 years of education experience and 13 years of private industry experience to the principal role. 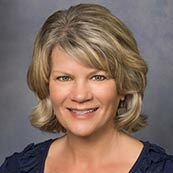 Therese received double undergrad degrees from WSU and her Master’s in Leadership from the UW. She utilized industry experience to transition into her role from business teacher to school administration. In 2016, she was appointed principal of Raisbeck Aviation High School where students receive an innovative learning experience in the context of aviation and aerospace. Therese values immensely the role that local aviation and aerospace companies have made through important mentor and internship opportunities for students. Josh Underwood is the physics and aviation teacher at Mason County High School in Maysville, Kentucky. He is currently in his 19th year of teaching and is Nationally Board Certified. Josh is a past president of the Kentucky Science Teachers Association and was a recipient of the Presidential Award for Excellence in Mathematics and Science Teaching in 2011. 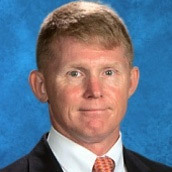 During his tenure, he has taught all areas of physical science for grades 7-12. He started teaching aviation courses three years ago when his district expanded its course offerings. Josh was a field test teacher for the AOPA 9th grade course last year and has continued field testing the 10th grade courses this year. Keith’s aviation background started at 16, when he soloed an airplane before having a license to drive. He completed his private pilot certificate at 17, paying for it by working at a small local airport in Charlotte, North Carolina. After attending the Naval Academy, he flew Navy A-6s from Oceana Naval Air Station in Virginia Beach. Keith started two Internet businesses before becoming a flight instructor and taking over the management of a flight school in Richmond, Virginia. He lives with his two teenaged sons in Frederick, Maryland. Mark Wiesenhahn is a vice president at Sporty's Pilot Shop, where he has worked for the past 28 years. In addition to his administrative duties managing Sporty's dealers and vendors and directing media relations and trade show participation, Mark works closely with Sporty's partnerships within the industry including AOPA and EAA. 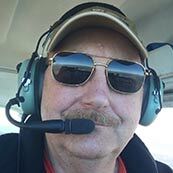 Mark is actively involved in promoting Aviation Exploring and has been an Exploring advisor for more than 20 years. He serves on the Executive Committee of Learning for Life Organization as the Exploring Chair. Mark is a recreational pilot. 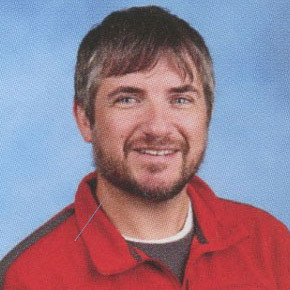 Matthew Willis is currently teaching science and aerospace courses at Adair County High School in Columbia, Kentucky. 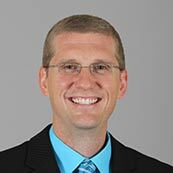 He has a Bachelor of Science in Middle School Science Education and a Master of Arts in Educational Leadership. He holds a professional teaching certificate in secondary chemistry and is also a National Board Certified Teacher. Matthew’s Aerospace program is in its 4th year and is a field test school for the new AOPA STEM curriculum.